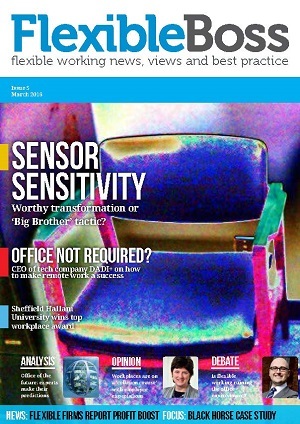 Out now, the March issue of Flexible Boss Magazine brings you news, features and comment on flexible working for employers. Please click through for your free digital copy. Shared parental leave – it is almost time to implement, so what’s your plan? Case study: Incisive Media has undergone a huge property transformation but culture takes longer to change. We talk to HR director Stuart McLean.